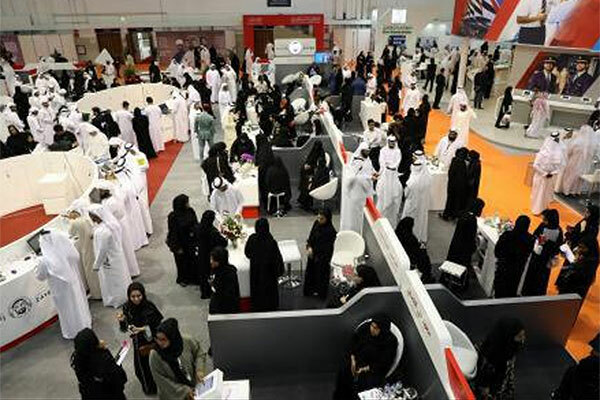 Dubai Electronic Security Center (DESC) has announced its participation in Careers UAE 2019 for the 4th consecutive year starting today (March 19) for three days the Dubai World Trade Center. Based on UAE's leading vision in supporting its talented nationals, DESC is inviting national competencies in the field of cyber security to visit its stand. The openings DESC is offering to UAE nationals provides a strong launching base for new graduates and experts in the field of IT and Information Security due to their highly fast growth in today’s world and its influence on all sectors. This year, DESC is introducing a new interactive registration system for visitors to enrol in its Cyber Security division, where applicants will have an ID reader and a digital registration form, along with an intelligent personality assessment test. This innovation will allow an indicative measurement to the suitability of applicants to the related work segment and professional criteria that suits their personal characteristics most from the jobs offered. On the other hand, visitors will be able to review an array of available vacancies from which they can log their interest electronically. Yousuf Hamad Al Shaibani, director general of DESC, said: “DESC is taking an active role in recruiting the best national talents in a dynamic and innovative way, in order to continuously improve our digital capabilities, develop new techniques, and evolve with the ever-changing trends and challenges in the cyber world. We are keen on fulfilling the center’s vision which stems from the directives of our wise leadership that is reflected in our Cyber Security Strategy”. Al Shaibani added: “DESC has achieved excellent results with Emiratization, with the Center being run 100 per cent by nationals. Our participation this year is a great opportunity to continue attracting creative national talents who will build with us the safest city in cyberspace.